Every year Share the Music Miami chooses a non-profit organization to highlight for their endeavors, and donates a percentage of our proceeds to said organization with our Helping Hands Award. Our last post featured our previous winners for 2017 and 2018. Today we want to announce the winner for our 2019 award…...Drumroll, please! The Herbert and Nicole Wertheim Performing Arts Center Concert Hall. Photo courtesy of Florida International University. This 2018-2019 school year, we have decided that the organization to be awarded the Helping Hands Award is Friends of Collegiate Music, Inc.
FOCM is working hard to make sure undergraduate students at the FIU School of Music have the necessary funds to succeed in their educational endeavors. FOCM is dedicated to raising awareness of the School of Music and to promoting its’ alumni, ensuring they become successful members of the music community. What better way to do that than with musical events? 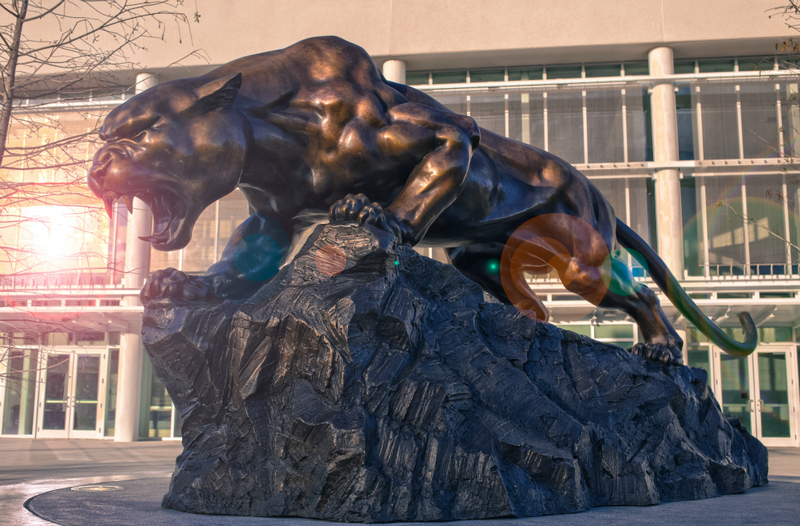 FIU’s Panther mascot casted in bronze and located at the Biscayne Bay Campus. 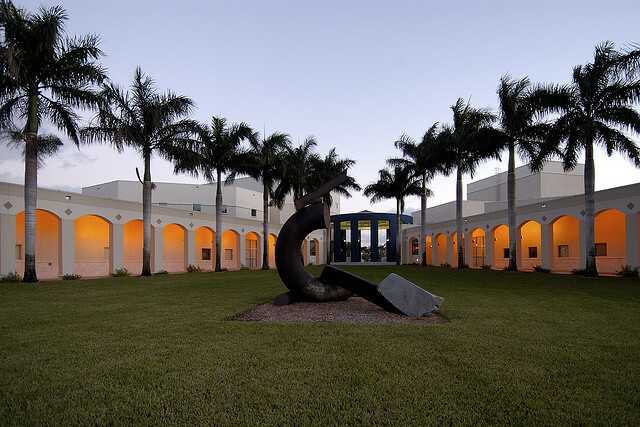 Photo courtesy of the FIU Foundation. FOCM has a number of events in the works, looking to bring more recognition to the FIU School of Music and its’ students. This year, they will be working alongside FIU’s Alumni Association, FIU Annual Giving and FIU’s School of Music to host a reception during the FIU Music Festival. The event will be held on November 9th, 2018 and will feature FIU Alumnus Tony Succar with his band Raices as well as FIU Alumnus Dr. Pablo Gil for a night of Latin Rhythms and Big Jazz. The inside scoop is that there will be a preview on WDNA’s FIU Music Hour--a show produced by FIU students that features, you guessed it, FIU students. FIU Alumni Dr. Pablo Gil (left) and Tony Succar (right). FIU’s events are open to the public. FOCM is working with them to ensure that it is a memorable event which will set the tone for future events to come. We at Share the Music Miami admire how FOCM is part of bringing together multiple organizations for a common goal--strengthening our community. Check out their Facebook page to stay up to date on upcoming events. Inside the Herbert and Nicole Wertheim Performing Arts Center Concert Hall where the November 9th event will be held. Those of us at Share the Music Miami are incredibly excited to be working with Friends of Collegiate Music to ensure success for students of FIU. If you recall, our Founder Vivian Torres is a graduate of FIU School of Music alumnus herself. It surely holds a place in our heart.